Seconde Nimenya was born and raised in Burundi, a small country in Central Africa. 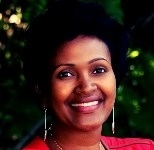 She attended the University of Burundi where she graduated with a bachelor’s degree in History in 1991. She immigrated to Canada, and became a refugee due to a civil war in her native country in 1993. In Canada, she went back to school and earned her bachelor’s degree in Finance from the University of Sherbrook in Quebec; and in 2005, she earned her MBA from the University of Phoenix. Seconde Nimenya is an author, inspirational speaker, coach, and a mentor. Her first published book, a memoir called “Evolving Through Adversity,” is a true story of her life journey, recounting her experiences of adversity, and sharing her life essons. She’s also dedicated at helping people transform their personal stories and journeys into teachable moments.